Looking for an insanely easy and equally delicious way to oder steak online? 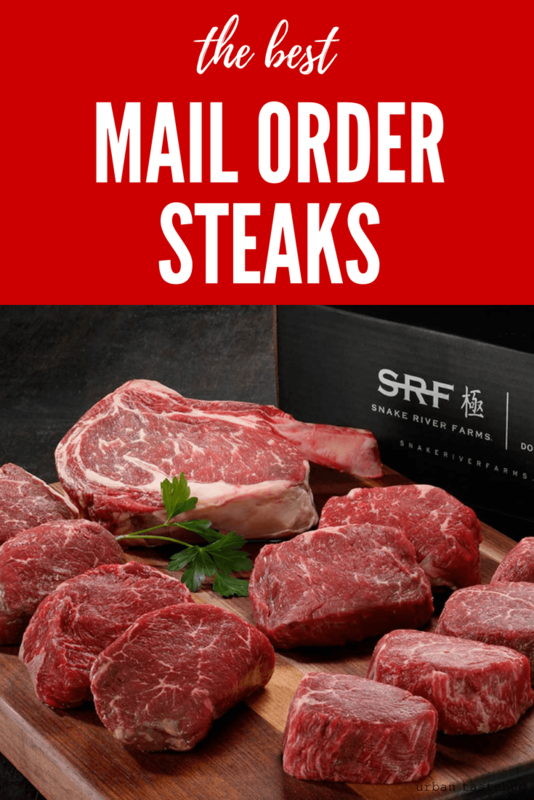 If so then you need to check out these amazing mail order steak companies that’ll send you premium, fresh, and high quality steaks! Below, you’ll discover some of our favorite mail order steak companies that you will absolutely fall in love with. Plus they even make great gifts, especially for dads who love to grill. So with that being said, let’s just straight to our favorite online steak delivery services! Here are the best mail order steak companies that you must try this month. Why it’s great: Simple, yet flavorful, grain-fed beef steaks that won’t break the bank. Best of all, they have a great selection of cuts including top sirloins, prime rib, flat irons, porterhouse, ribeyes, and of course, filet mignon. Why it’s great: Juicy, tender steaks delivered straight to your door. I recommend you go for a Kansas City Strip Steak which is world famous for it’s rich flavor. Your tastebuds will thank you. Why it’s great: Get USDA Choice and USDA Prime steaks (which represents only 2% of all American beef) delivered straight to your door.Overall, a great way to order steak online. Best of all, each steak is hand selected and hand cut, all while being wet or dry aged to perfection. Why it’s great: Get USDA Prime beef steaks, roasts, and briskets along with natural prime beef and even American Wagyu, all of which drive fresh after going through a rigorous selection process. Price are on the higher side but it’s worth it. Why it’s great: Although these guys specialize in exotic meats like alligator, emu, wild boar, kangaroo, reptiles, and foie gras, they do have some great, high-quality angus beef cuts that’s been raised and handled humanely. Why it’s great: Get specialty meats such as USDA Prime Beef, roasts, along with their famous dry aged beefs delivered straight to your home. Why it’s great: Get organic, grass fed beef, steaks, and other great American meats sources from a collective of family farms in the USA. They pride themselves that all the cattle that they source eat a balanced diet of organic alfalfa, hay, and flax, all while roaming open pastures. Plus, they even have a subscription! Why it’s great: Get luscious domestic Kobe beef along with lean and healthy grass-fed beef that’ are perfect for grilling, grounding, and more. Best of all, their beef is raised naturally without any antibiotics or hormones. Why it’s great: Great options of fresh cuts of prime beef from some of the best ranches in the world. Plus, they even have some exotic meats and rare game. Plus, you can even get your steaks cuts your way to your specifications. A cool way to order meat online. Thanks for reading and hopefully you find the best mail order steak company possible that’ll satisfy your tastebuds. Omaha is garbage! I cant believe it made it in the top anything. 7X Steaks FTW! !